A dream come true for another podcaster here at Golden Spiral Media, but instead of acting like the giddy school girl he was feeling inside, Darrell was a consummate professional, as he always is. Our interview with John Noble was the pinnacle of the weekend for all of the Fringe fans. We were able to talk a little bit about Fringe, as well as a little bit about other things going on with John right now. He was an absolutely amazing person to talk to, and I think I can safely speak for most of you by saying we could sit and listen to him read the phone book. 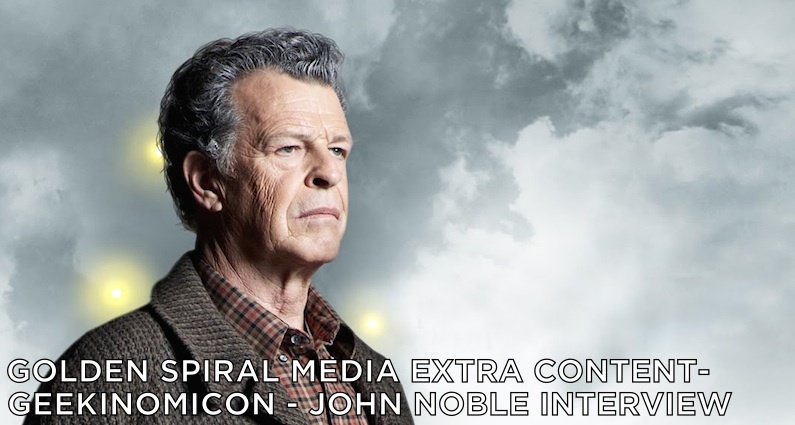 We were so blown away that John Noble was even in our city for Geekinomicon, but even more so that he was gracious enough to give us his time to help us make the Fringe Podcast complete. After all, that is the reason why most of us are here right now, and without that, we wouldn’t have what we have now. Thanks again, John Noble, you are our favorite thing. Another of our favorite things is to Geek Out MS and we hope you like to do that also. That link will be open for about another year, so if you feel so inclined to donate to a great cause, please do! This podcast is sponsored by Pro Podcast Solutions. Find out how you can get started podcasting today!